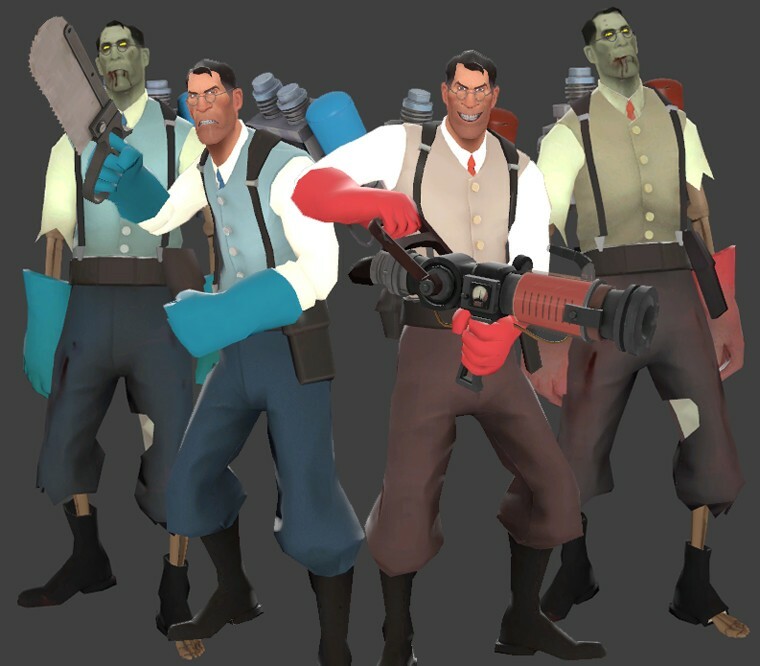 For anyone interested in the new system for Steampipe and want anything in paticular in there such as skins, I shall place a few of them here for anyone who peaks interest in them. Download links at the bottom of each spoiler inside. To have these vpks work, just drop the vpk in the folder named custom. Just follow this file path to the folder if you need assistance C:/ProgramFilesx86/Steam/steamapps/common/Team Fortress 2/tf/custom. 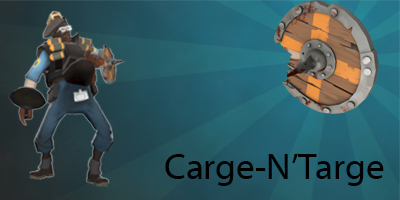 To remove what the vpk has done in TF2, just delete it or move it somewhere else if you want to keep it for later purposes. Custom Hitsound: (Star's Old Hitsound) Can be heard at the spot I pointed in the video. 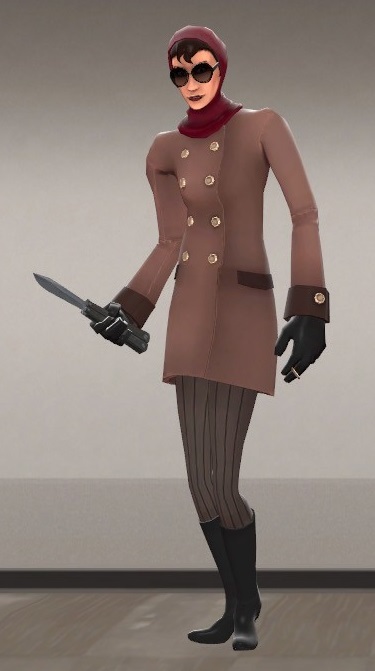 Female Spy:Comes with sound pack and lipsync. Last edited by LAWD VAWLDAWMAWRT on Fri May 03, 2013 11:40 pm, edited 2 times in total. 1) Didn't even put in the download link by accident.-Apparently just terrible memory on my part. Last edited by Wliu on Tue Apr 30, 2013 9:18 pm, edited 3 times in total. Please do not distribute my HUD in VPK format. Well that also works. But I honestly don't remember putting it in XD. I remember copying the link, writing a message, copying/pasting the wiki link, but not the dl...I really have bad memory ._. Images don't work LAWD. I can't see what I should be expecting. They are all working for me and doubled checked them. The only ones that may be a bit buggy are the images straight from Gamebanana. Other than that they seem fine.